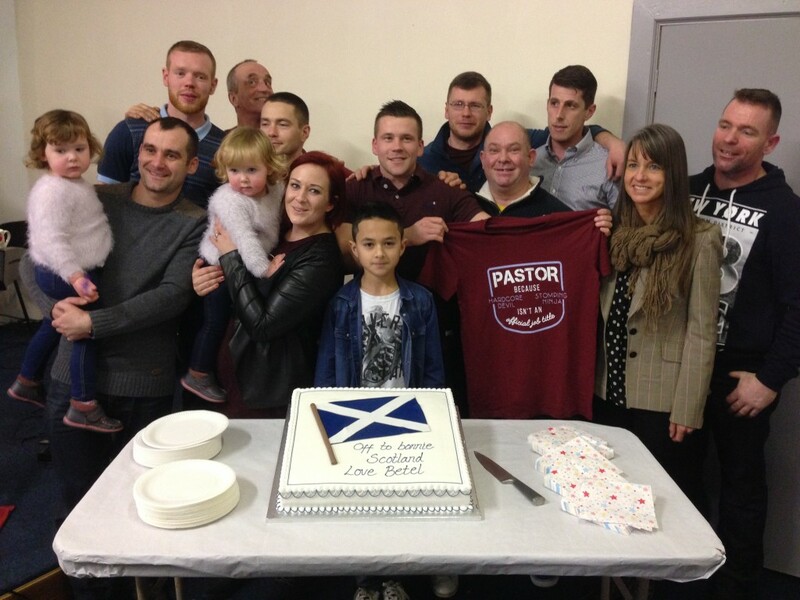 Following over a year of prayerful planning and guidance, we are happy to announce that the time has at last come for Betel UK to send off the team that will pioneer Betel Scotland. On Sunday January 31 the team took the long drive up to Glasgow to begin their exciting work. God’s provision has been nothing short of miraculous. An amazingly generous couple – whom we’d never met before – donated £180,000 and loaned us an additional £290,000 – interest-free – enough to enable us to purchase The Old Mill Hotel without need of a bank mortgage. This riverside hotel, which lies just southeast of Glasgow in the town of Motherwell, boasts a 500-year-old millstone and will host 20 or so recovering men and one family. The pioneering team, led by Dave, Harriet and Ondrej, together with five single men, has just moved to Motherwell to begin the preparation required pending a planning application before Betel Scotland hopes to open, later in the year.